Dimensions 0 by 6.61 by 9.45 in. 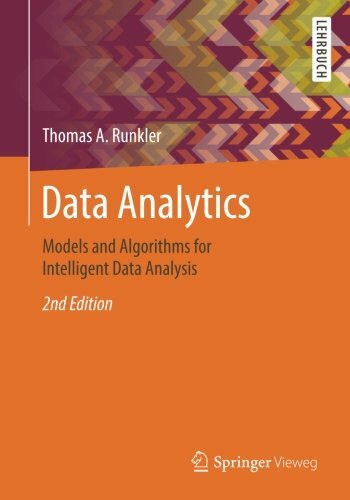 Amazon.com description: Product Description: This book is a comprehensive introduction to the methods and algorithms of modern data analytics. It provides a sound mathematical basis, discusses advantages and drawbacks of different approaches, and enables the reader to design and implement data analytics solutions for real-world applications. This book has been used for more than ten years in the Data Mining course at the Technical University of Munich. Much of the content is based on the results of industrial research and development projects at Siemens.